Lavinia Roberts is a playwright and theater teacher based in Brooklyn. She has over thirty plays for young people published with Applause Books, Beldon Worship Resources, Big Dog Plays, Brooklyn Publishers, Heuer Publishing, Indie Theatre Now; Plays, The Drama Magazine for Young People, Pioneer Drama, Smith and Kraus, and Standard Publishing. Her work has been seen in Philadelphia, Washington D.C, Los Angeles, Seattle, New York, London, Bath, Athens, and other cities. Her play Counting Skunks won the Mario Fratti-Fred Newman Political Playwriting Award at the Castillo Theatre in New York City. She was a member of the Women’s Writers Lab at the New Perspective Theatre Company. Lavinia has taught theater to all ages, from toddlers to adults, in various arts organization and schools, including The Boys Club of New York, Fit for Life, Playwrights Theatre of New Jersey, Hartley House, The William Inge Center for the Arts, Children’s Art Guild, and at Topeka Civic Theatre and Academy. She currently teaches in New York City at Trinity Church Wall Street and at Saint David’s School, as well as, being a teaching artist with Urban Arts Partnership and Project Art. 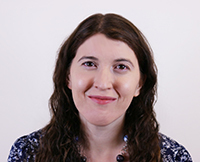 She has a Masters in Educational Theatre for Colleges and Communities from New York University and a BFA in Fine Art from the University of Kansas. 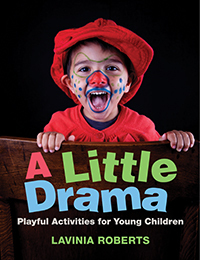 This resource has over 200 dramatic activities for parents, child care providers, and preschool educators wanting to incorporate drama into curriculum or do theater with young children. No prior theater experience necessary—just a desire to nurture self-expression, empathy, social-emotional skills, and physical development of young children.